CGC Alpine ceiling panels are medium-textured acoustical panels with the added benefit of ClimaPlus, which helps prevent visible sag. These extra durable panels are made with a water-felted manufacturing process, which provides good sound attenuation (CAC) performance. The surface of the panel has perforations that also aid in sound absorption. The panels have a washable surface for easy maintenance. Alpine panels offer a ClimaPlus 30-year lifetime system warranty to withstand conditions up to 104F (40 C)/ 95% relative humidity without visible sag when used with a Donn<sup></sup> brand suspension system. Alpine 1004 Acoustical Ceiling Tiles, 2' x 2' x 5/8"", Shadowline Tapered Edge CGC Alpine ceiling panels are medium-textured acoustical panels with the added benefit of ClimaPlus, which helps prevent visible sag. These extra durable panels are made with a water-felted manufacturing process, which provides good sound attenuation (CAC) performance. 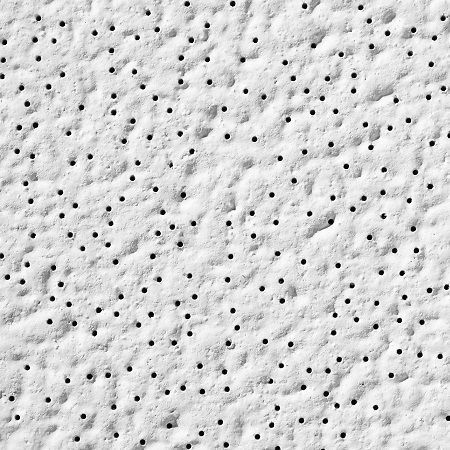 The surface of the panel has perforations that also aid in sound absorption. The panels have a washable surface for easy maintenance. Alpine panels offer a ClimaPlus 30-year lifetime system warranty to withstand conditions up to 104F (40 C)/ 95% relative humidity without visible sag when used with a Donn<sup></sup> brand suspension system.